Beautiful With A Side Order Of Special – Run. Ride. Roam. That’s pretty much how our day started, with those lovely, friendly words from the lady who came to our assistance at the ASDA self-checkout, when the machine decided it didn’t want to accept that we didn’t want a plastic bag, thank you very much. I mean, how can you not smile when those words are spoken! As we left St. Austell, we had more smiles, this time because of the local dogs. The dogs here really, really like to carry things in their mouths. We passed a lady walking her Boxer, who had a stick the length of a javelin in its mouth, either on its way for a walk to play with its stick, or on its way home, with this new favourite toy that it had found in the park. No sooner had we passed the Boxer, when we passed a man walking his German Shepherd, who had a big blue rubber toy in its mouth. Almost every dog we see, walking along a path or in a park, has a ball or a stick or a toy in its mouth. English dogs like their toys and entertainment and they like them to-go! 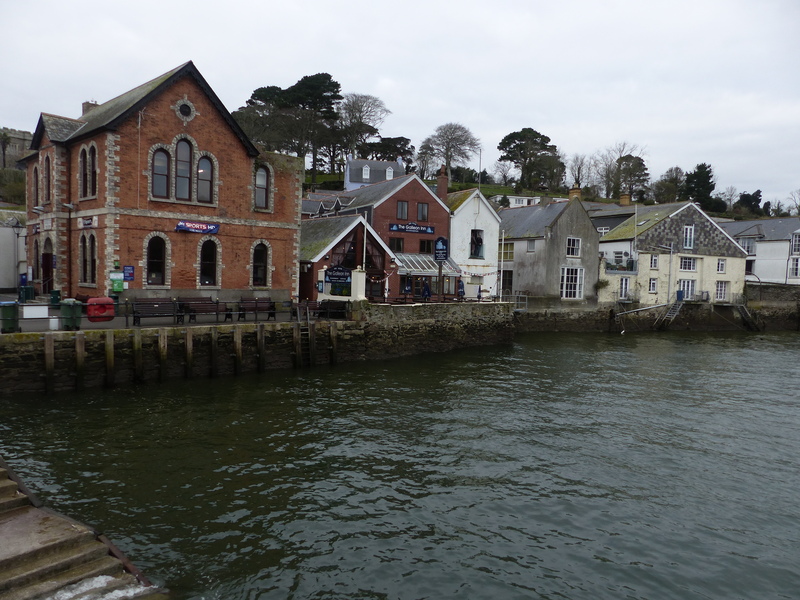 We called into the little village of Fowey (pronounced Foy) and it was another quaint and pretty little place. 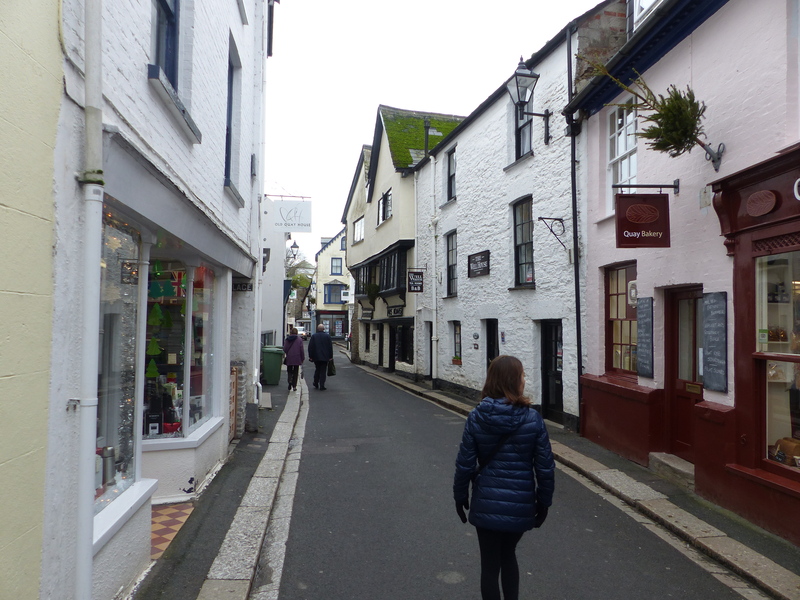 It had a maze of narrow, steep streets and a centre lined with small, independent little shops, all sitting on the waterfront. It was very cute and very Cornish. 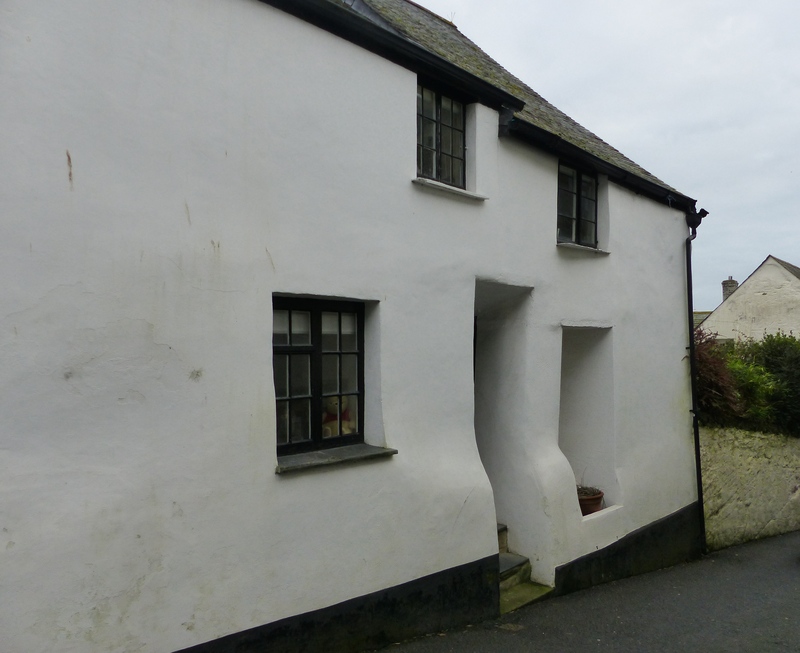 I love the wonky houses! 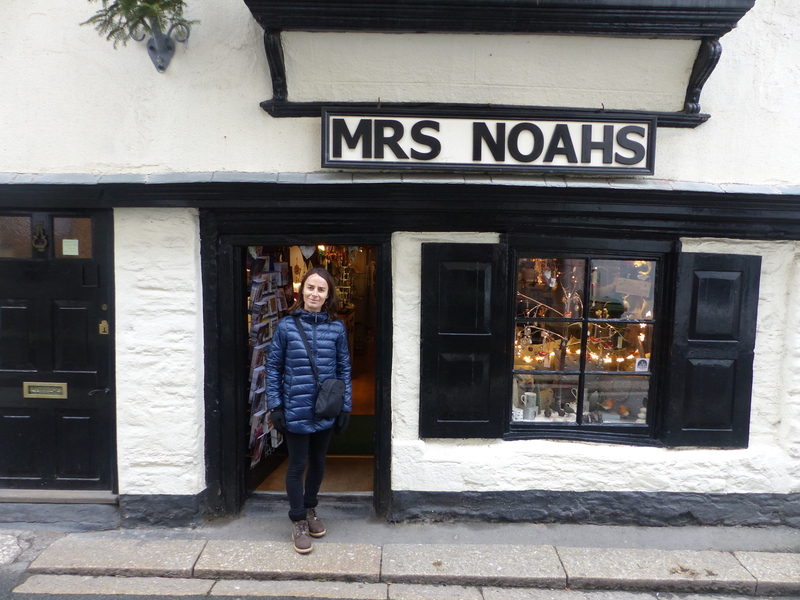 Steve may have to bend and stoop his way through history but doorways are perfectly my size! 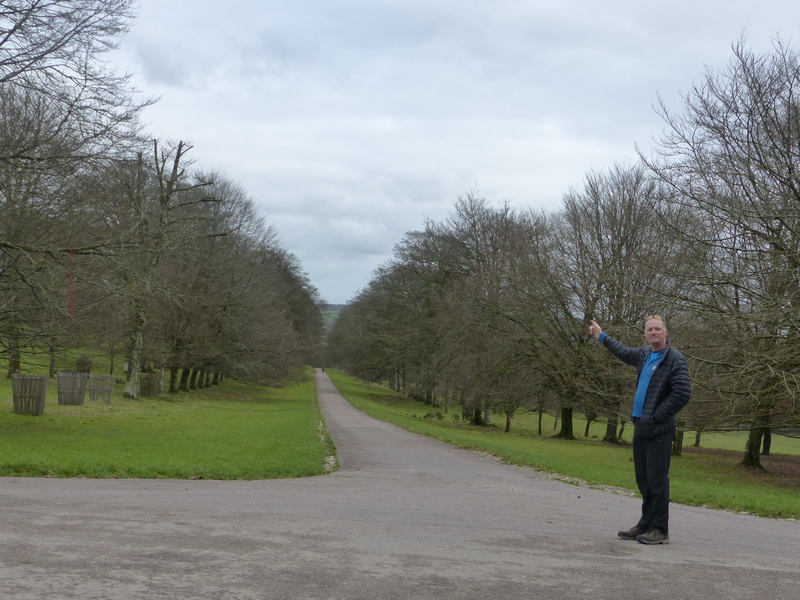 As we tootled along the road, wheelin’ free, we saw a sign to a National Trust property, so decided to go and have a look. I’m so glad we did. It was very special. 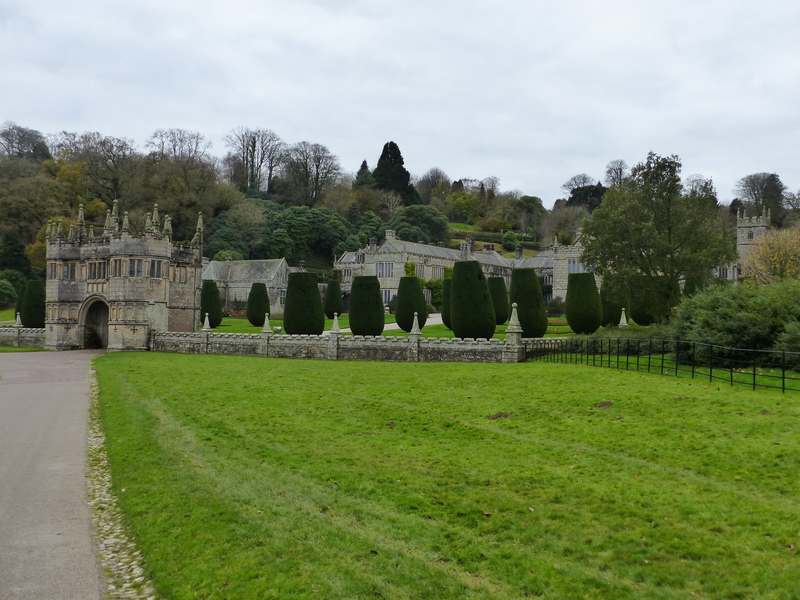 Lanhydrock is a Victorian country house, sitting in a huge estate of spectacular parkland. Parts of the house date from the 16th century, but in 1881 there was a devastating fire that destroyed much of it, and it was rebuilt by the owners, Thomas Charles (Viscount Clifden) and Mary Agar-Robartes, who maintained the original style. 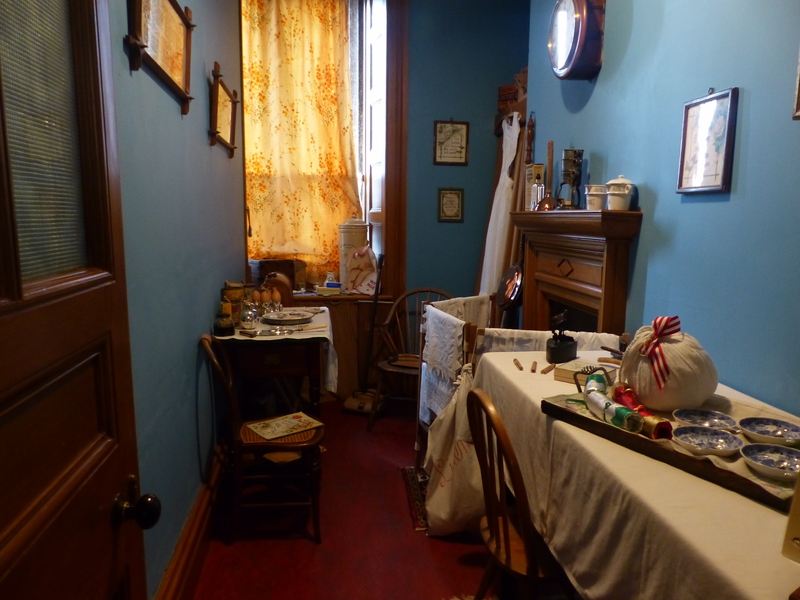 It was such a nice place to visit because it had been done up like a traditional Victorian home at Christmas time. 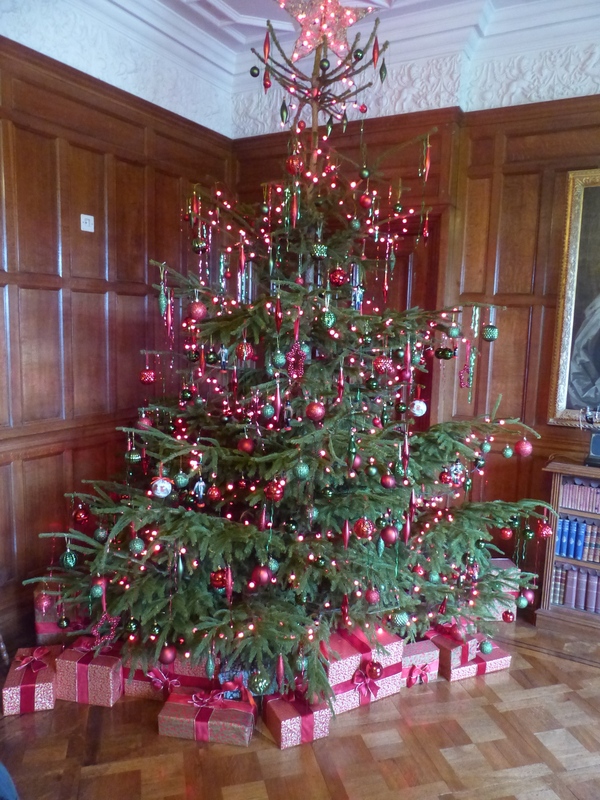 There were Christmas trees in different rooms, simple, elegant decorations and carols playing throughout the grand house. 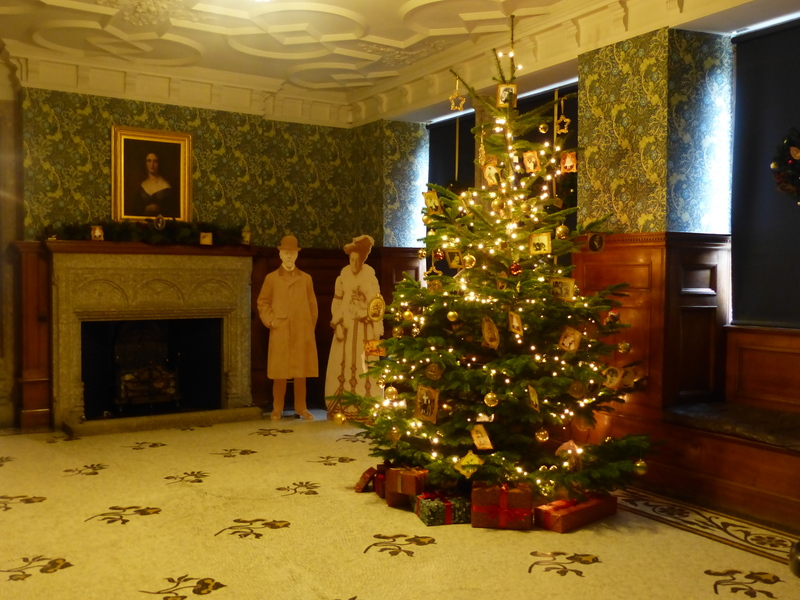 It was simply lovely, to walk through the house, feeling the festive atmosphere in the cosy rooms, while the winter chill could only look in from the outside. The nursery scullery. Christmas dinner would be sent up from the kitchen and prepared in here for the children, who would then eat in the nursery with their nannies. No Christmas dinner with mum and dad in those days! The day nursery. The children would spend their Christmas in here with their nannies. The family had quite a tragic story and their name ended with their children, with no one to continue the line. The eldest son and heir, Tommy, enlisted to fight in the First World War and was killed in 1915 at Loos. The youngest son, Alexander, also fought in WWI and was so affected by his experiences that he committed suicide in 1930. One of the daughters went on to establish a hospital after serving as a nurse during WWI, but of the ten children, only two married and only one of them had a child, so by the 1950’s there was no one to take over Lanhydrock and it was offered to the National Trust. It was a wonderful place to look around and so worth the u-turn we did, to make the visit. Master of all he surveys! “Don’t you wish you had a signature pose like I do?” he asked the photographer. I said I thought I’d cope without one! We set off to try and make the deadline for another National Trust property we had wanted to see, so we had a quick bite to eat in the van, while we hit the road. 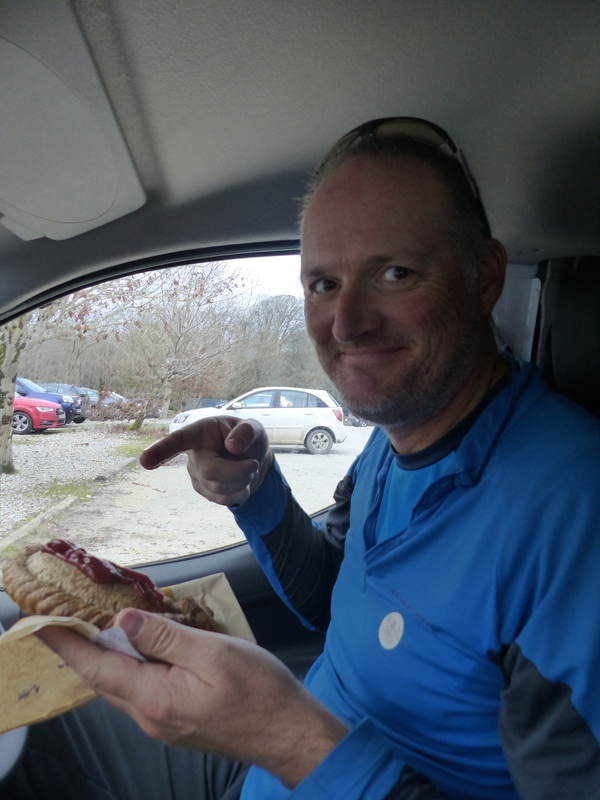 After missing out on having a Devonshire Tea the last time we were in Devon, Steve most definitely had to have a Cornish pasty while we were in Cornwall! So that was his choice of luncheon fare today. He went to a bakery that sold every possible variety of pasty you could think of and emerged with the wholemeal vegetable, the one and only vegan one they had, so that was his choice. There was only one left, so while he enjoyed his Cornish pasty in Cornwall as we motored along, I thought I might have to join him in one tomorrow. It looked delicious and he declared it so! Even the Cornish pasty in Cornwall gets the “signature point”! “Yes please,” we said, keen to see as much as we could in the tiny bit of time we had. We laughed and he threw it into gear, one of only three that it had (Forward, Neutral and Reverse!) and we revved down the driveway, where he deposited us at the entrance. Another special touch to the whole experience! 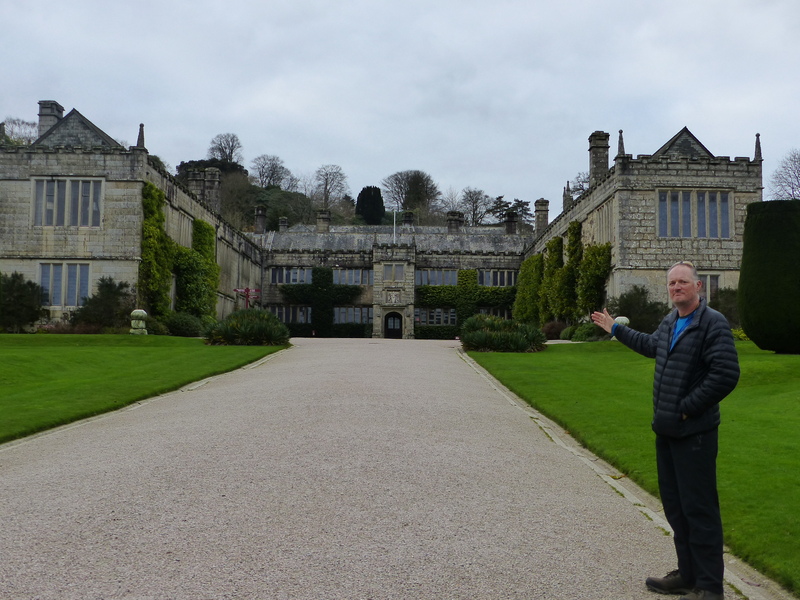 Buckland Abbey was another striking property that sat within a huge estate and while it was once an abbey, founded in 1278, it was converted to a house after the dissolution of the monasteries by Henry VIII and from 1580, was home to Sir Francis Drake for fifteen years. 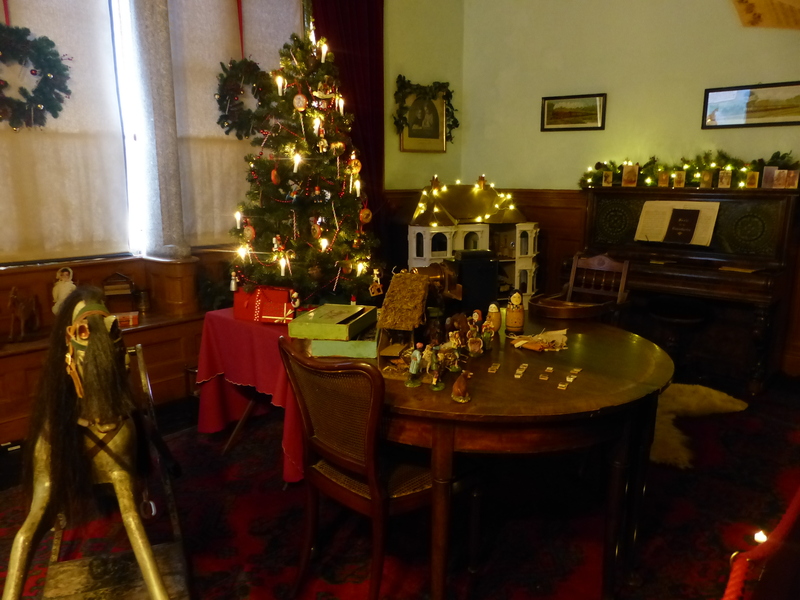 This was also set up for Christmas, with the National Trust volunteers dressed in period costume and having a rollicking time! They laughed and jigged around to the Elizabethan music playing and there was Elizabethan cooking going on in the kitchen. 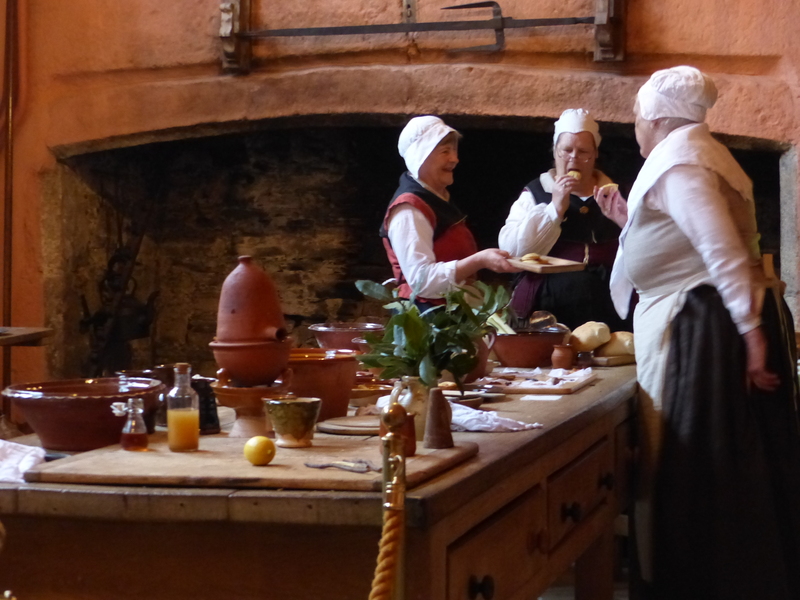 When we went to the kitchen for a look, we were offered some mince pies to try, either the traditional variety, from the Elizabethan period, which was a mixture of meat and fruit, or the modern variety of just fruit. “Umm, sorry, I don’t think they had many vegans in Elizabethan times,” I said, to offer a reason for declining one the pies being offered. “I do indeed,” I replied. “That would be lovely!” I said and she set about cutting a date and filling it with nuts for me. How lovely of her and still in keeping with the Elizabethan period. Perfect. Steve went for the pie! It was all happening in the kitchen! 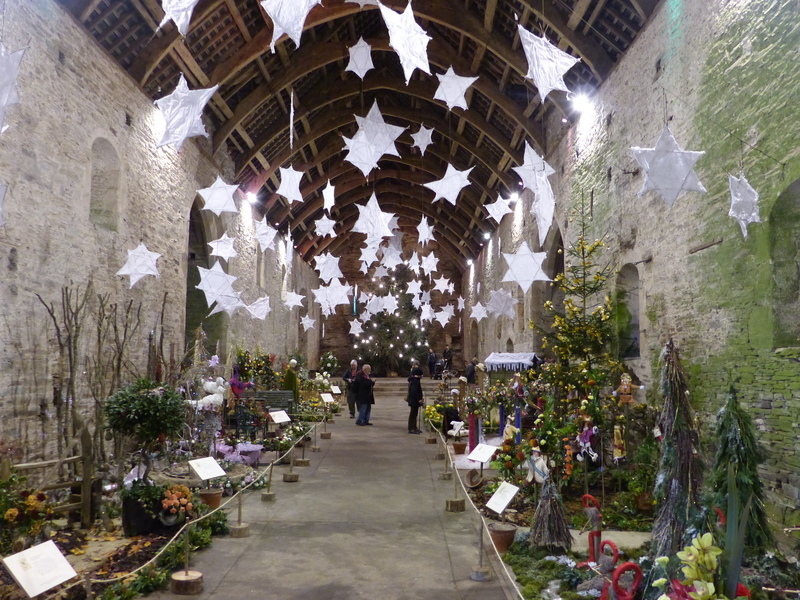 We strolled around the few rooms that were open, then strolled outside and into the barn, which had also been decorated for Christmas. It looked amazing. Then, with smiles on our faces, we took the walk back up to the car park. It was another great place to visit. 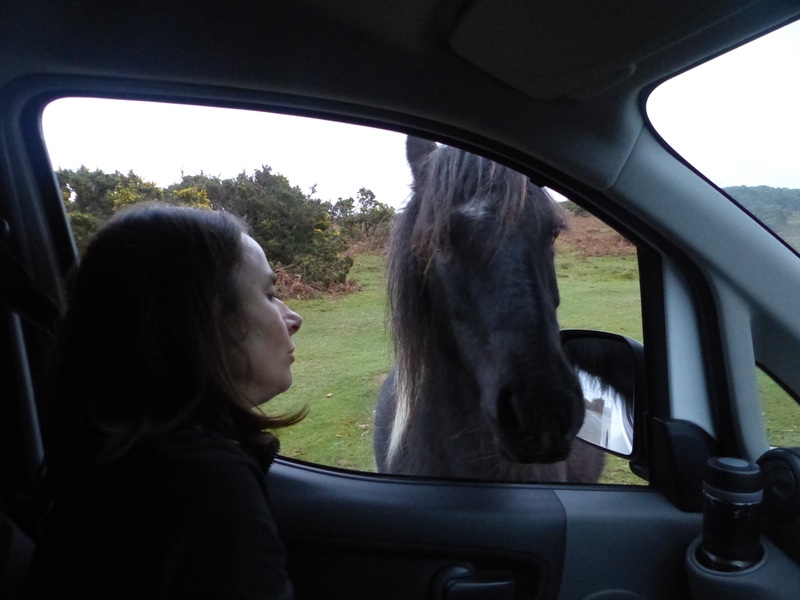 When Steve and I drove across Dartmoor a few days ago and I was waxing lyrical about how beautiful the moors were, I did comment to him that my one disappointment had been that I hadn’t seen the Dartmoor ponies that roam the moors. Today, that disappointment was swept away and I saw the ponies! 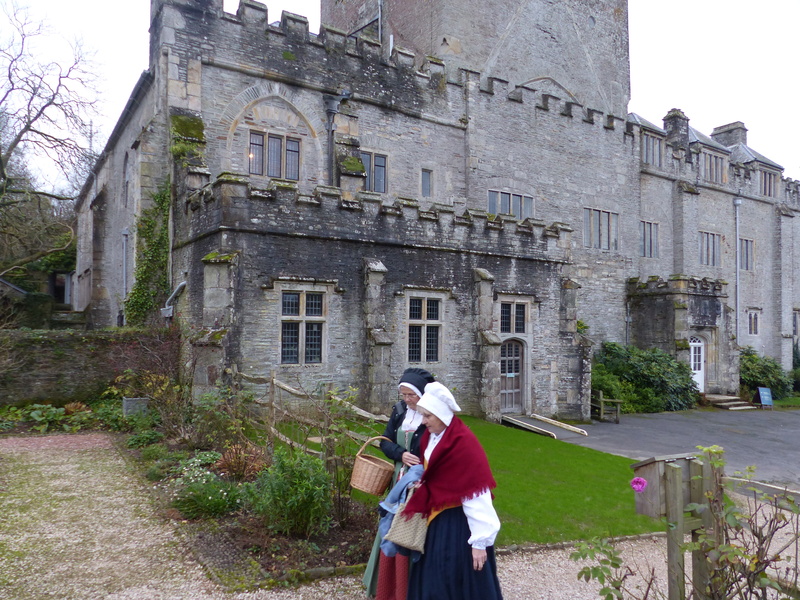 As we left Buckland Abbey, we drove across a stretch of moor and there they were! We stopped to have a look and no sooner had we stopped beside the road, than one of the ponies started making its way over to the van. It wandered up and without so much as a by your leave, stuck its head through the window! I started to give it a pat, while also being ready to employ some swift reflexes because I was half expecting it to flick its head and give me a nip. I know from experience that little ponies like that can be mean little blighters at times! I think it’s small horse syndrome and they make up for their lack of size, by having a big attitude. I wasn’t sure how much contact they got with people, out on the moor, so I was ready if this fella didn’t take too kindly to my patting. He was fine though and was happy for me to scratch his muzzle and rub his face. Then some others decided to wander over for a look too and soon we were surrounded! There began some pony pushing and shoving, as they flattened their ears and began to assert their attitude on each other. “Don’t kick the van!” I ordered as they argued, chased and turned tail on each other. I could just see us returning the van with a pony hoof sized dent in the side! No damage done though and I got to see the ponies and pat one too! Special! Another terrific day, which finally ended with us in a cheap and dodgy hotel in Plymouth, but we are back in Devon, which I’ve decided is most definitely my favourite county in England. What a super duper day, of countryside, villages, historic homes and the Dartmoor ponies. Beautiful! On we go tomorrow, without any definite plans as yet, just some “maybes”, “we mights” and “we coulds” as possible places and destinations for the next leg of the adventure. Today Cornwall came up trumps and Devon delivered again! Special times and more to see…one we go…free wheelin’…with a smile! The only thing to do is smile with the grand, splendid, marvellous things we get to see and do. There’s nothing else to do, but love it!